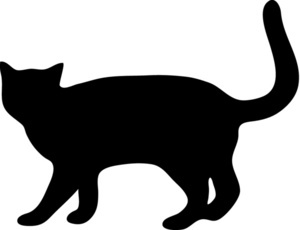 Can “a silhouette, represented in black, of a person adopting a typical body-building pose displaying the muscles of his body” be registered as a trade mark for – among other things – nutritional supplements, clothing, and footwear? As Katfriend Nedim Malovic (@malovicSE) explains, this very question has been recently addressed by the General Court. Class 35: ‘On-line retail store services featuring nutritional supplements; health and diet-related products; clothing and footwear’. In 2014 the applicant, Universal Protein Supplements Corp, filed an application with the EUIPO to have the EU territory designed in respect of the international registration of a figurative sign representing a body-builder. The application was for goods and services in the classes indicated above. The EUIPO examiner rejected the application, on grounds that the mark lacked any distinctive character and was descriptive for the purpose of Article 7(1)(c) of Regulation No 207/2009 on the (now) European Union Trade Mark (EUTMR). In late 2014 Universal Protein appealed the examiner’s decision. The EUIPO Fifth Board of Appeal dismissed the appeal in March 2015. It held that the message conveyed by the sign related to ‘body-building’ or a ‘body-builder’ and that the relevant public would perceive a direct and specific link between the sign and the goods and services designated by the mark applied for. The Board of Appeal concluded that such mark fell within the prohibition laid down in Article 7(1)(c) EUTMR. 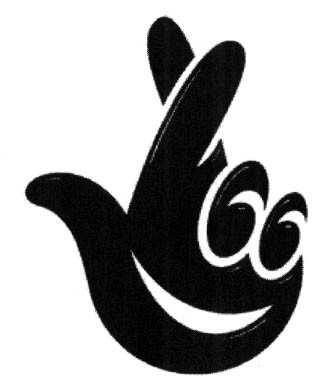 Furthermore, the mark was devoid of any distinctive character within the meaning of Article 7(1) (b) EUTMR, on the ground that it merely consisted of a representation of a body-builder, which would not enable the relevant public to perceive it as an indication of the commercial origin of the goods and services in question. Universal Protein did not however lose hope, and decided to appeal the decision before the General Court. It claimed that: (i) the Fifth Board of Appeal had failed to consider the mark as a whole; (ii) that its own image of the body-builder has several meanings and conveys a message that goes beyond that of a ‘body-builder’ or ‘body-building’, and (iii) that securing registration would not impair the public interest aim that descriptive signs are not monopolised by economic operators. The General court began by examining whether Universal Protein’s mark should be considered descriptive. Article 7(1)(c) EUTMR pursues a public interest aim. Referring to Agencja Wydawnicza Technopol, the court recalled that a sign that is descriptive of the characteristics of the relevant goods or services ought to be freely available for use. In addition, a sign of this kind fails to fulfil the essential function of a trade mark, ie to identify the commercial origin of one’s own goods or services. (1) Having regard to the relevant goods and services (nutritional supplements, clothing, footwear and online retail services relating to those goods) and considering that the mark is strictly figurative and lacks any verbal element, the average consumer – obviously reasonably well informed and reasonably observant and circumspect – is the public of the entire European Union. 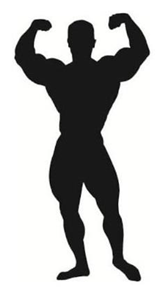 This said, because the sign consists of a typical body-builder, displaying the muscles of his body, represented in black silhouette, the message conveyed by that sign would relate to body-building. (2) The chosen goods and services in Classes 5 (nutritional supplements), 25 (clothing; footwear), and 35 (online retail store services featuring nutritional supplements; health and diet-related products; clothing and shoes), are all indicative that the mark applied for has a sufficiently direct and specific link with nutritional supplements, clothing, footwear, and online retail store services of those goods and goods related to health and diet. According to the court, even if the categories of goods and services at issue were to also include services with no link to body-building and that, accordingly, the sign at issue were not descriptive of all the goods and services in those categories, the applicant had applied for the registration of the sign at issue for each of these as a whole without making any distinction. Accordingly, the body-builder sign would fall within the prohibition set by Article 7(1)(c) EUTMR. Contrary to the applicant’s claims, the court found that the alleged aesthetic character of the stylised image does not require any mental effort on behalf of the relevant public. The meaning of the sign at issue (which refers to the concept of ‘body-builder’ or ‘body-building’) is immediately clear. By referring to earlier case law, the court added that, even assuming that a sign has several meanings, if at least one of the meanings designates a characteristic of the goods concerned, then that sign must be equally refused. The applicant’s further claim that there would be no general interest in requiring that a representation such as that in the present case be available because there are practically unlimited ways of depicting body-builders was regarded as irrelevant. In that respect, the court noted (as also previously stated by the EUIPO) that, according to settled case-law, the application of Article 7(1)(c) of the EUTMR does not depend on the existence of a real, current or serious need to leave a sign free. The Board of Appeal was therefore correct in concluding that the sign in question is descriptive for the purpose of Article 7(1)(c) EUTMR. All this said, the court considered unnecessary to review whether the sign at issue would be distinctive, and concluded that the body-builder silhouette could not be registered as a trade mark because of the prohibition in Article 7(1)(c) EUTMR.